Sven Boinet, Deputy CEO of AccorHotels Group, said, “AccorHotels has built up close links with the golfing world over the last 30 years, owing to the Group’s founders’ love for the game and to a significant network of hotels being located near prestigious golf courses. Our partnership with the Ryder Cup bolsters our commitment to offering amateurs and professionals of the sport the world over a whole range of added extras and tailored services which make them feel valued and privileged. 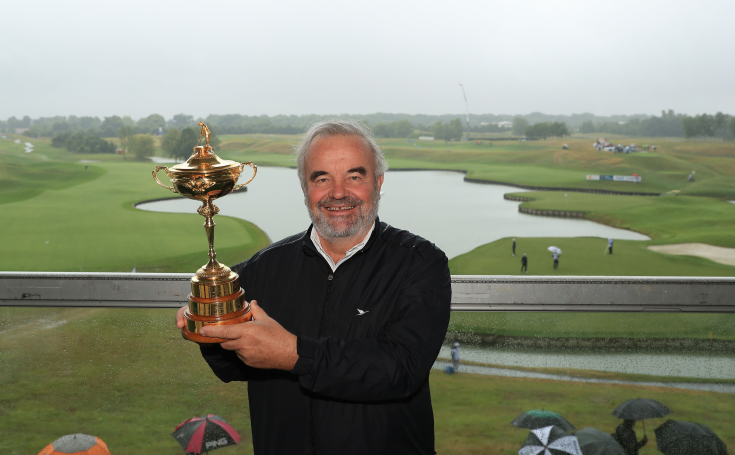 Lastly, we are acutely aware of what an asset the Ryder Cup will be to raising France’s golfing profile. It is therefore with great pride that we will once again be using our hospitality expertise to support an event that will be key to France’s international standing." Raffles Dubai hotel is celebrating its 10th anniversary! 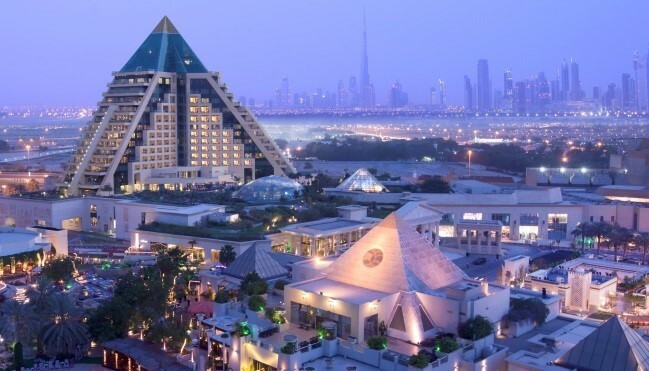 The brand’s first hotel to have opened its doors outside Asia, Raffles Dubai is offering guests the chance to enjoy an exclusive experience to celebrate this milestone anniversary. During November, guests will be able to enjoy lavish accommodation in a premium suite, let themselves be tempted by a private dining experience prepared by the Raffles chefs, and experience a personalized treatment using 24-carat gold and caviar, an Egyptian beauty secret, all for AED 9,000. The offer is also extended to include Signature rooms, available at the special rate of AED 1,000 for stays booked by the end of November. The Raffles mixologists have also created a signature cocktail especially for the event, the “Straub Fizz”, in tribute to the first guest to stay at the hotel. And Mr. Straub will return to the hotel to taste the cocktail that bears his name, with champagne and gold leaf as key ingredients. Throughout November, the tea room is celebrating the anniversary and is offering sweet treats created especially by the chefs and combining Asian flavors, which draw inspiration from the origins of Raffles, with local Arabic delights. Everything is in place to mark the occasion in an unforgettable way, for both guests and the hotel. A genuine oasis of calm with an unforgettable appeal, Raffles Dubai has welcomed almost a million guests over the course of the past 10 years. The holidays are approaching and our hotels are outdoing each other to create a magical world at this time of year. As well as traditional Yule Logs, that will once again be offered by the greatest patisserie chefs, the hotels will also be creating other special treats for their guests. This year, Le Royal Monceau – Raffles Paris is presenting a “crystal” Yule Log adorned with “jewels”, created by Pierre Hermé, which will evoke the colors and textures of snow-capped mountains. The Spa My Blend by Clarins at the Royal Monceau – Raffles Paris is offering a soothing package to guests and is reinventing the art of cocooning based on a new formula, “My Royal Cocooning”, entirely devoted to comfort and wellbeing. This package includes a yoga class, followed by a massage or a body or facial treatment, before enjoying an array of delicacies prepared by Pierre Hermé. This totally luxurious experience at the Royal Monceau is priced at €335. Guests can now count down the days to Christmas with the Clarins advent calendar available at the Royal Monceau – Raffles Paris Spa. The Boutet Paris Bastille, MGallery hotel is inviting guests to spend some time at the hotel with the “cocooning offer”, priced at €170, which includes access to the Spa, a room for the day and the chance to enjoy a Boutet hot chocolate with a madeleine. 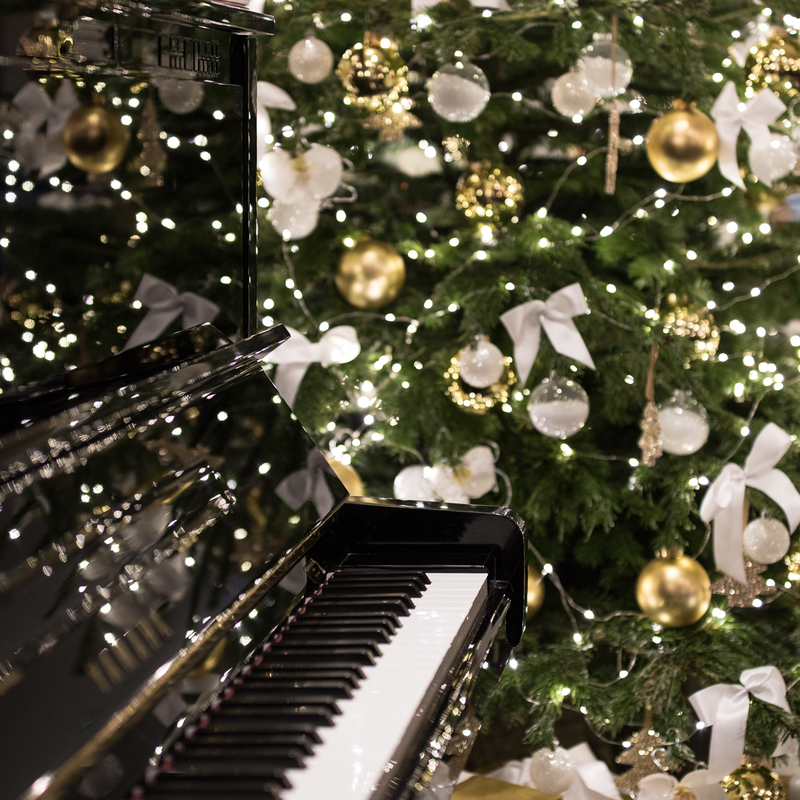 The Sofitel Paris le Faubourg will create a musical and lyrical atmosphere on the theme of “Christmas Melodies”, which will include Christmas carols revisited in a chic and retro way. In parallel, the hotel will host an exhibition by a sculptor of international renown, including three huge pieces on the theme of music which will be exhibited in the lobby and on the restaurant terrace: Baroquial (assemblage of violins), La promesse du bonheur (Venus and assemblage of violins), Being Beauteous (cellos). The artist Arman is one of France’s leading contemporary art figures whose works are on display in the greatest museums. Lastly, Head Chef Alexandre Auger has devised two festive menus, “Mélodie de Noël” and “Swinging Paris”, inviting guests to celebrate and sample dishes each more sophisticated than the last. Menu starting from €140. The International Hotel Awards recognize the best hotels in the world in various categories. The 25th edition of this renowned ceremony took place on October 26, 2017 in London, where the winners for the Europe region were revealed during a gala dinner. The Fairmont Quasar Istanbul won the “Best City Hotel in Europe” category. Right in the heart of Istanbul, the Fairmont Quasar is the new landmark of the Mecidiyeköy district. Located between picturesque streets and modern shopping malls, the hotel combines urban culture with industrial style, while respecting Turkish traditions. It boasts 209 rooms, various restaurants, an art collection and a spa, which captivated the jury, notably made up of Stuart Shield, President of the International Hotel Awards, and Viscount John Thurso, who presented the award in person to Kai Winkler, General Manager of the Fairmont Quasar Istanbul. The Raffles Istanbul Zorlu Center, the flagship hotel of the Raffles brand was recognized in the “Best Luxury Hotel” category, both in Europe and in Turkey. Raffles Istanbul was also popular with readers of Condé Nast Traveler. It was rated 96.77 points out of 100 in the 2017 Readers’ Choice Awards, which is decided by the votes of readers of Condé Nast Traveler, one of the world’s most renowned travel magazines. The hotel was ranked 2nd with 300,000 votes from readers. These awards are a real opportunity not only for the hotels, but also for Istanbul, which will be able to welcome new guests. 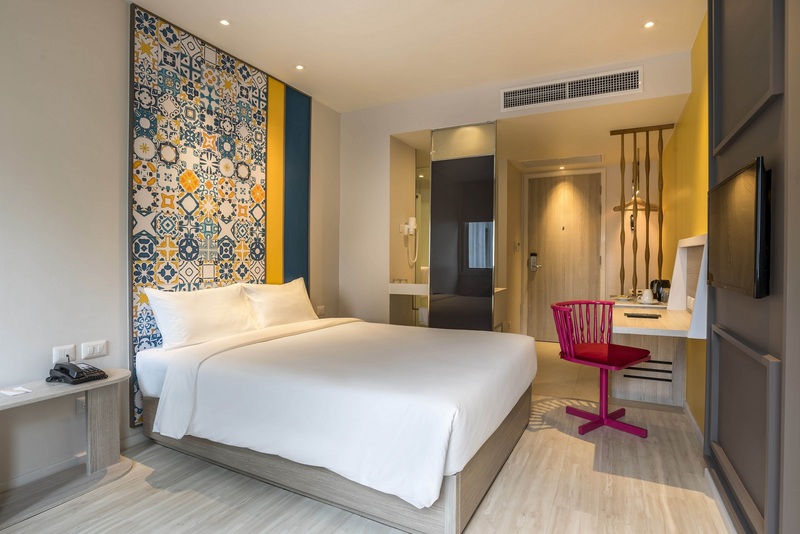 The Mercure Kota Kinabalu hotel has opened its doors in the capital of the state of Sabah in Malaysia. In the heart of a city steeped in history and cultural heritage, the hotel is situated close to Mont Kinabalu, which is listed as a UNESCO world heritage site. Located near Kota Kinabalu International Airport, the hotel, which features 310 rooms boasting a contemporary design, welcomes business travelers as well as leisure travelers in search of outstanding scenery. The Maupassant, with its menu of local and international flavors, the Phileas Café, for a full and balanced meal on the go and the Compass Lounge, superbly set on the rooftop, where guests can enjoy a glass of wine at sunset. To attract a local clientele to its establishments, AccorHotels is joining forces with the Lyon-based collective Le Sucre to organize after-work events in its midscale hotels in Lyon. One Thursday each month, the “Early Check-In” evenings go to out-of-the-ordinary venues in the city’s Novotel and Mercure hotels, enabling everyone to enjoy an evening in an eclectic party atmosphere. 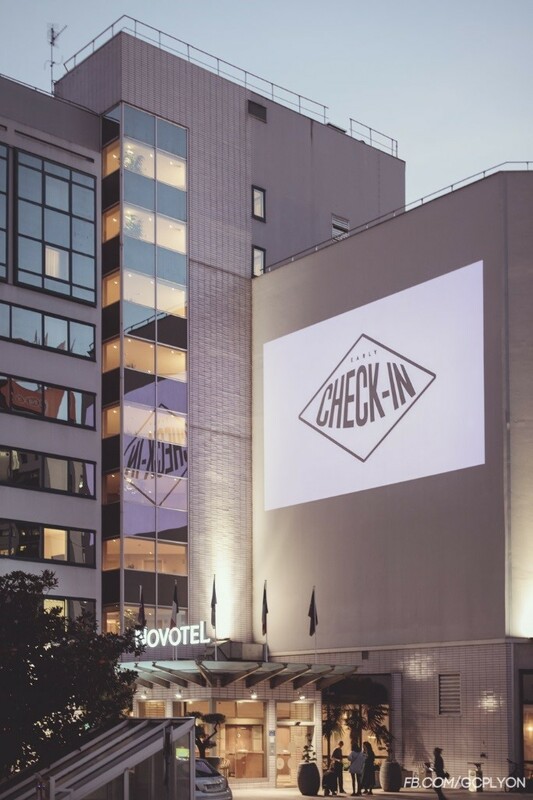 The originality of the “Early Check-In” concept also lies in its “secret party” element: the theme, the exact location of the after-work party and the name of the DJ are only revealed on the day itself, via text message. Once a month until summer 2018, the program will include a wide variety of evenings, with unconventional themes in quirky locations, hosting from 19 to 600 people. The first after-work event of the series took place on Thursday October 26, 2017 in the N’Loft at the Novotel Lyon Gerland Musée des Confluences. The theme “Welcome Home” reflected the concept of the N’Loft: a living space that is “just like home”. The 80 guests enjoyed dishes prepared by the catering chef and music by DJ Teki Latex. 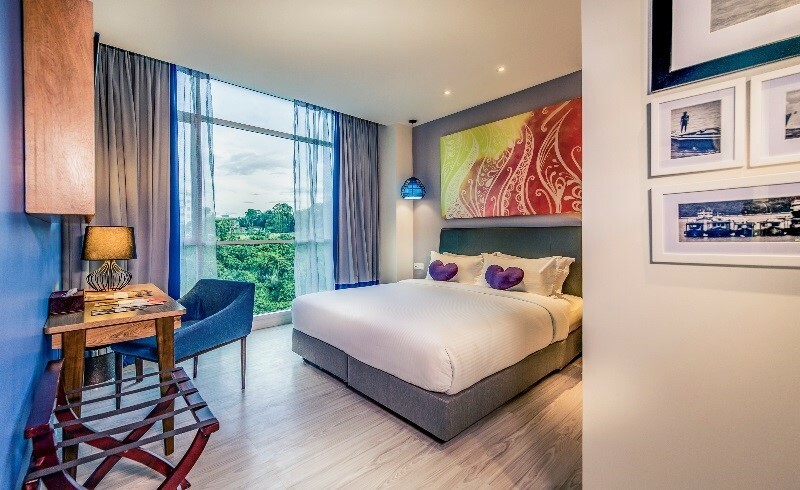 ibis Styles Phuket City has opened its doors in the heart of a location as heavenly as it is steeped in culture. The ibis Styles brand has thus expanded its presence within this idyllic beach resort for the first time. Enjoying a prime position between land and sea, the ibis Styles Phuket City hotel is located in the heart of the city just 10 minutes away from a white sandy beach and turquoise sea. A few steps from the hotel, guests can enjoy a meal in one of the restaurants proposing locale cuisine, discover works of art in one of the galleries or even wander around the must-see boutiques offering textiles boasting magnificent colors and graphics. ibis Styles Phuket blends into its environment beautifully with reception areas and rooms that combine local esthetics with modernity. “Harmony” restaurant also draws inspiration from this combination of tradition and contemporary design both throughout its spaces and on its menu of sophisticated flavors. The hotel will welcome guests looking for a new experience and a change of scenery to its 137 rooms from November 2017.